We are sure that you have already gone through the article, When do babies roll over, now lets us tell you when do babies talk. Hearing your little sprout’s first word is a splendid and untold moment in the new parent’s’ life. It is one of the most exciting moments that every mom and dad wait for. It is unpredictable when do babies start talking. Most of the babies start uttering their first words by the month of six. You may hear “tha tha”, “da da”, “ma ma” sometime soon, but it is not same for all the babies. Receptive language is what your baby understands, and develops on his/her own to talk back – expressive language and what he says in his language. That is why, it is advised to all the parents to talk to their little sprouts when they spend time with them. And by regular talking, you are helping your little one to develop his/her receptive language and also inducing the overall language & speech development. The concept behind it is that, though your baby can not talk back to you by the time now, he/she still absorbs & observes on what you talk & say at him/her, which in turn he/she expands the vocab by just following you. As a matter of fact, male babies take some more time to coordinate their tongue rotation and the mouth spell to create sounds when compared to female babies who talk very soon. 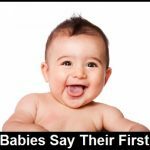 Expressive language : When do Babies Start Talking? Expressive language is the first level response to those parents who are waiting to hear their Baby’s First Words. From birth time till 3 months: Very soon all the babies start learning how to communicate. The very first way of communication is cry or cues that the baby uses to inform you on what is going on, and what has gone. Though crying is not actually the part of language development, it is the first sign that your baby communicates with you. And also you can find out different types of crying that the baby means to convey you different set of feelings, say for hungry, soiled diaper, discomfort, feeling sleepy et al. 4 months to 6 months: Around 4 to 5 months, your baby will start blabbering. In addition, he/she also will start to respond to you when you smile, laugh, coo talk with your baby. And about 6th month, he/she may start respond to you with sounds like “ahh”, “ooh”, “kaa”, “baa” et al in which later few weeks he/she will start building his/her own words. 7 months to 12 months: This is the right time wherein your baby’s receptive language blossoms. Your little one now understand the words such as, “no”, “come”, “say hi”, “say bye”, “clap your hands”, “laugh”, “see there”, et al. Most of the babies do start talking by this age, and some babies might take some more time to start talking. And to respond to you, he/she might start babbling to you back, and here comes the important situation that you have to pay attention to your baby. You must notice him/her that what he/she tries to understand, imitate sounds back to you, and gestures that you make at him/her. Most likely your little bun will speak out by the age between 11 and 13 months. And by the time of his/her 18th month, you can hear around some 15 – 20 words. Most of the babies do, but not all the ones, however babies require some pace to develop and to reach milestones of the developmental stage. If you put a question before moms that when do babies start talking, you will be getting different set of answers from each mom. Even, there will be difference among the children of same family, it is because of that the milestones of development stage is actually be helped by the parents with the help of pediatricians. And such milestones actually help the parents to figure out if there any signs of problem while talking. Dear mommies, just do not wait that when do babies start talking, you also can help your baby to talk sooner a while. Whenever your baby makes sounds, just imitate back and encourage your little one to imitate you. Smile when he/she smiles, laugh when they do, make “aah”, “ooh” sounds whenever he/she makes. Play many games, say for “peek-a-boo”, say “it is too big” with gesture, “catch” etc. Such practice will help your baby learn things quickly, and will learn to mimic back during the play time. Talk to your baby all the time when he/she is awake. Tell your baby what are you doing, say for taking things, placing them, book, toys, and “mom is changing your diaper”, “mom is dressing up you, “mom is combing your hair”, likewise in which he/she will learn new words and actions soon. Also read books to your baby. You can get “baby’s first words” book, in order to build your baby’s vocab in a great way. Most of the babies grasp soon and talk back soon, and some babies will take some time to talk back however he/she will observe and keep in the mind. And to surprising, he/she will start talking and speak out the words. When to concern when babies still not start talking? Appending below is a guide from pediatrician to notice out your baby on talk. From 6 to 12 months: If your baby is of 6 to 12 months, he/she should respond when you call him/her on name. Even more he/she is not responding at least by the month of 9, you have to talk to your doctor. From 13 to 18 months: By this month, your baby will start building his/her own vocab, identify things when you ask at them, say for “where is fan”, “where is car” etc, if there is no positive signs, there could be little problem that needs doctor’s attention. From 19 to 36 months: Around this age, your little bun should be able to follow very basic commands, and by 25 to 36 months, baby can start talking around 5 words & when you talk he/she can understand. 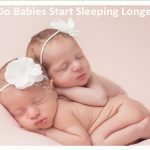 Just be sure that there is any gap in the developmental phase, and if any consider pediatrician to meet your query of when do babies start talking. «Next Post How To Help Constipated Baby?